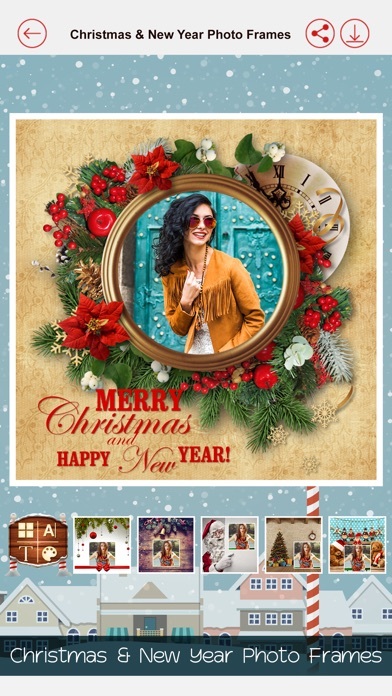 *Happy New Year and Christmas Photo Frame 2017* The most attractive and powerful happy new year Photo Frame application. Get the beautiful, lovely and stunning photo frames at Happy new year Photo Frame . Get the best, quick and light memory acquired application for iPhone devices in a very short time. Frames along with suitable resolutions to create perfect full sized images. Download for free on each device with fast service. Do you have some colorful and special New Year frames to make appealing photo collage? Let’s get them with free frame application- New Year Frames in no cost. 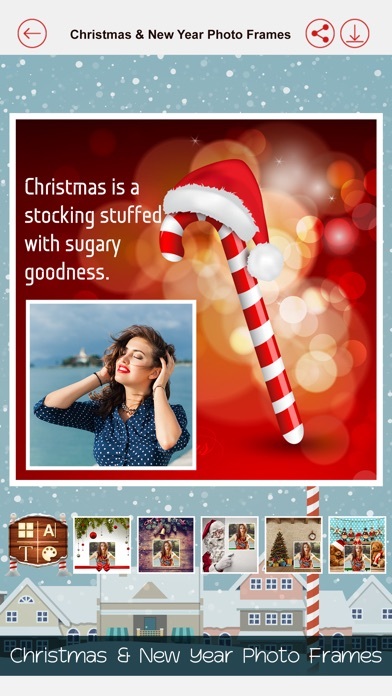 Exciting, attractive and absolutely free photo frames on your Smartphone give a chance to get closer to your friends, relatives and others around you. 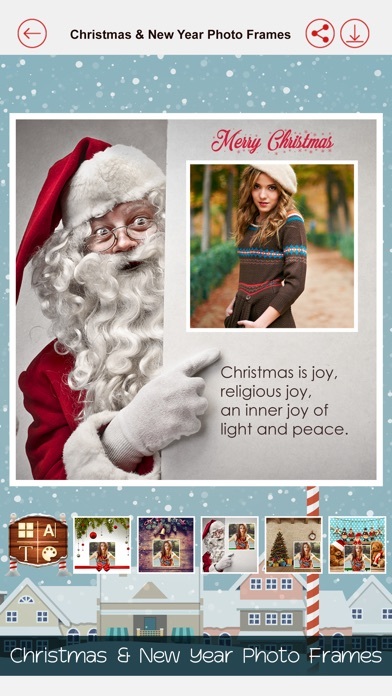 Download the free New Year & Christmas photo frames in iOS app and greet people with your lovely photo creation. ***** New Year Photo Frames 2017 Features ***** - Apple watch support - Christmas Photo Frames - Choose a Picture or a selfie you want to put from the gallery of your phone. - Capture a new picture with mobile camera and apply it. - Zoom In, Zoom Out, scale, Rotate and drag the picture to fit in the frame as you want. 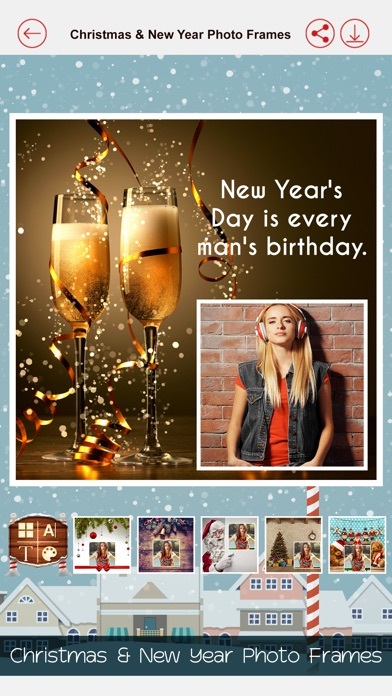 - Select New Year frames in different layout and colors according your photo! - Add text, add colors, and change fonts with the options at the bottom of your screen. - Create Photo Grid easily. - Save and Share the picture instantly on social networks like Facebook, WhatsApp, Instagram or Twitter! - User friendly navigation and interface. 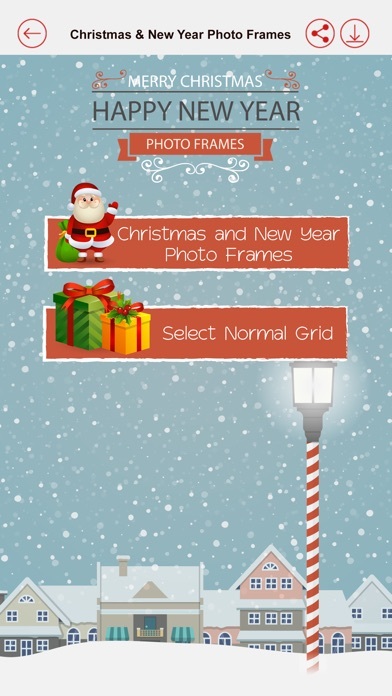 - HD New Year and Christmas frames with add text with colors and fonts.